Nu Yalk Pizza sells, you guessed it, New York style thin crust pizza. Nu Yalk traces its family lineage back to a Staten Island pizzeria first opened in 1919, so if you looking for a New York local pizzeria experience, complete with a Yankees or Giants game on the TV, then this is the place. The pizza is cooked in a standard gas pizza oven. 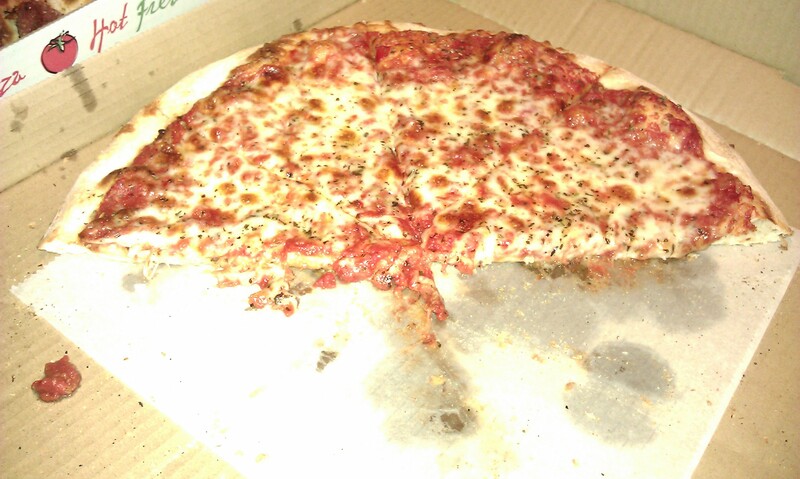 It is a thin crust pizza, although not particularly thin by traditional New York standards. Two departures from what I would regard as the typical New York pizza are 1) the edge crust is a bit thicker than the average New York style pie 2) because of the thicker than average edge, the slice does not readily fold in half. 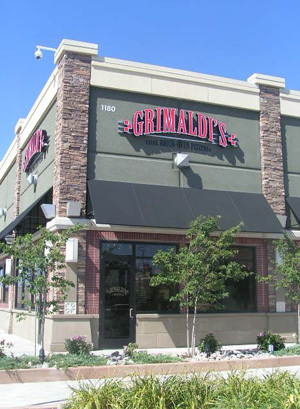 They also serve Sicilian style pizza, but I have not tried that. I ordered my standard benchmark pizzas: a plain cheese and a pepperoni. Both were well made and properly cooked. 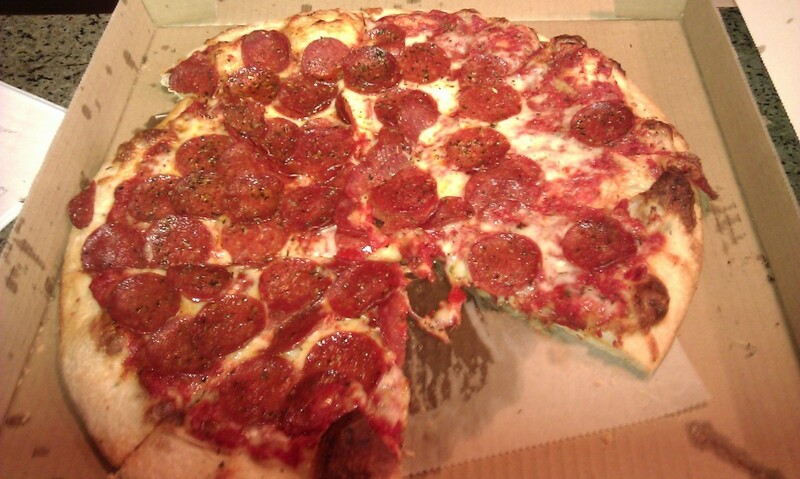 The pepperoni could have been a bit more seared/crunchy, but was still good. What makes both pizza above average is the crust. The crust has an excellent crisp, but not hard texture, and it is fairly chewy and relatively light. Nu Yalk obviously spends time preparing their dough and it shows. The sauce is also distinctive. It’s tough to pin down exactly what makes it different, but Nu Yalk clearly has been passing down a distinctive family recipe. I should also note that Nu Yalk uses organic flour, sauce and spices for their pizza. In June of 2012, Nu Yalk moved from its old location (on the corner of Moana & Kiekze) to a brand new building on South Virginia Ave. in the South Meadows area. The building is a modern design that is very light and airy with tons of windows and very high ceilings. In addition to the regular tables there are also a number of computer terminals that patrons can sit at and surf the web while they chow down on their slice. Nu Yalk is a fast casual pizzeria where you order at a counter and pick-up your pizza at another counter. There are plenty of seats dining seats, both inside and out, to enjoy your pie while you watch a game or you can just get you pie to go. 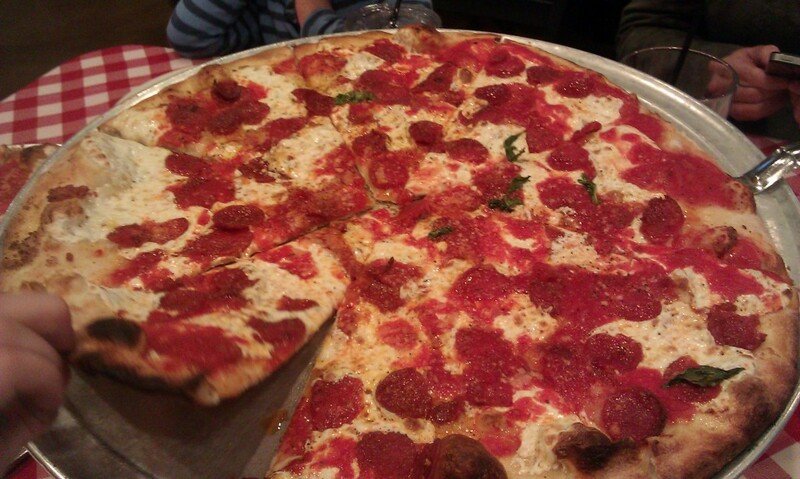 They also, like all good New York pizzerias, sell slices and the slices are nice and big. If you close you eyes while eating a slice and just listen to the counter guys yell out orders while the giants game blares from several TVs at once, it almost seems like you have been teleported back to the New York, almost. 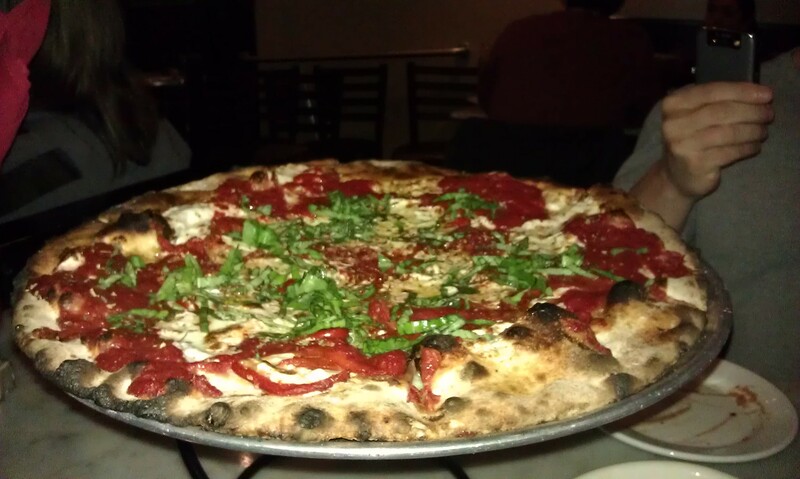 For anyone who misses the classic New York pizzeria experience and high quality pizza, Nu Yalk is a good choice. 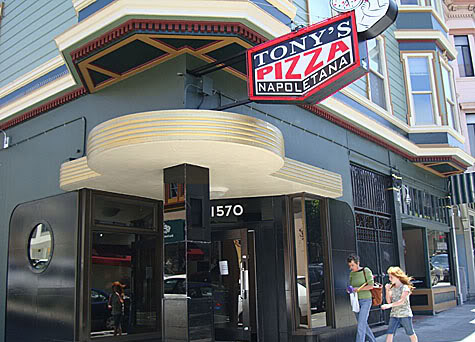 The pizza is distinctive and well made with an excellent crust and organic ingredients. The crust may be a bit thicker and not as foldable as some New York pizza purists would demand, but it’s still a very good pizza and worth a try.